Welcome to Smith and Goodson, PLLC. 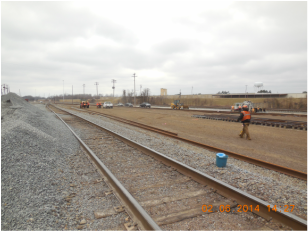 We're a Civil Engineering and Land Surveying firm located in Little Rock, Arkansas. Our company was established in early 2010, but our staff has decades of experience having previously been associated with much larger civil / surveying firms. Smith and Goodson has one of the most extensive survey record archives in Arkansas. Our records date back to the early 1900's. Our field personnel are OSHA 10 and Hazwoper certified. We're a small business, but growing at a steady and controlled pace. We'll be pleased to discuss your civil engineering and surveying needs and answer your questions. We provide quotes for our services at no cost or obligation. Please navigate through the links to learn more about our company and the services we offer. Smith and Goodson appreciates your interest. "Our business is characterized by a commitment to honesty, integrity, fairness, quality, and customer service. We always give our best effort to be responsive to the client's needs. We continuously strive to meet client expectations and satisfaction, together with a successful conclusion to every project."